How to start using roles | Welcome to the Help Page! As soon as you restart Gmail, you'll see new permission management. 1. 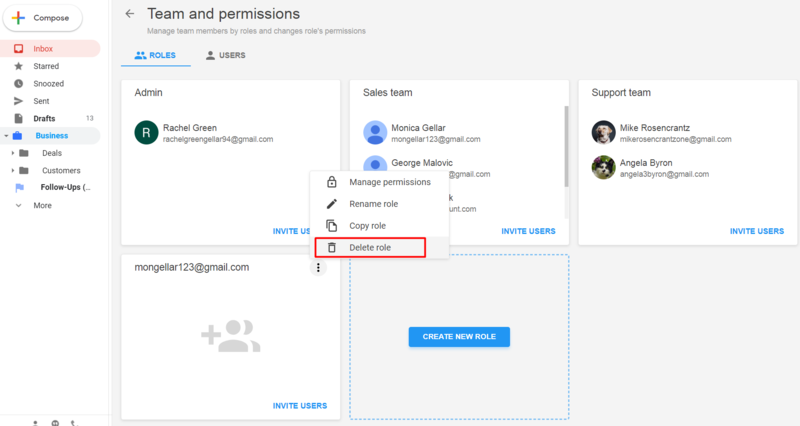 You can see the Role groups (Role 1; Role 2) with the set of users sharing the same permissions you previously set (remember, you had to share each folder with each user and tick/untick permissions for them). 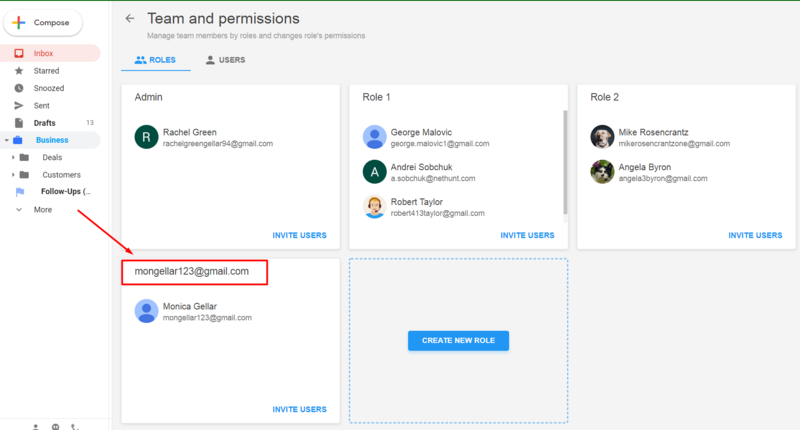 Now you can see an example of Role 2 containing 3 users. It means that before they had access to let's say 2 folders (Customers and Deals) and had the same permissions (Customize folder and fields, Create/edit/delete shared views, Create/edit records and Link/create timeline items). Now they have been placed into one role meaning that they may do the same work in your workspace. 2. You can have either (or both) Role 1/2 and/or Roles named by the email address of your workspace users. It means that the permissions they have do not match the ones granted to other users. You can start editing/creating roles from now on. If you have a group Role 1 - you can simply rename it into Sales team/Support team/etc. 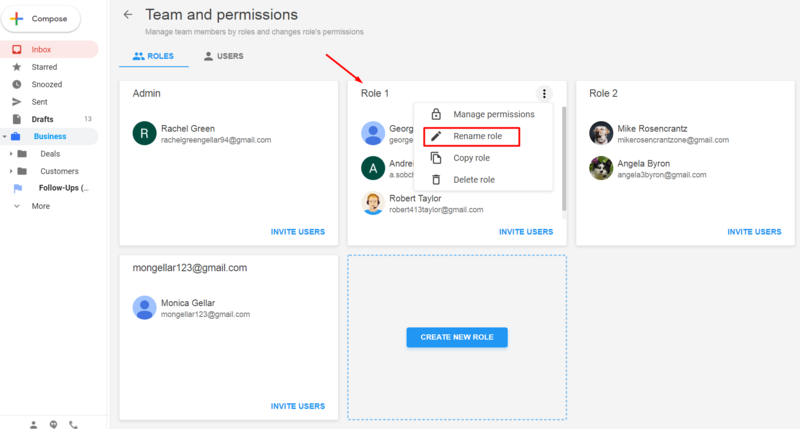 And then decide whether you want to place the user in the role with the email address to another Role (go to the users section and click on the user settings>"Change role"). You can then delete the role with the email address as a name since it becomes empty. REMEMBER: you can only delete a role containing no users in it.